Remo 3D™ is an effective tool for creating and modifying 3D models intended for realtime visualization. Remo 3D's primary file format is OpenFlight® and it allows for importing from and exporting to different file formats. 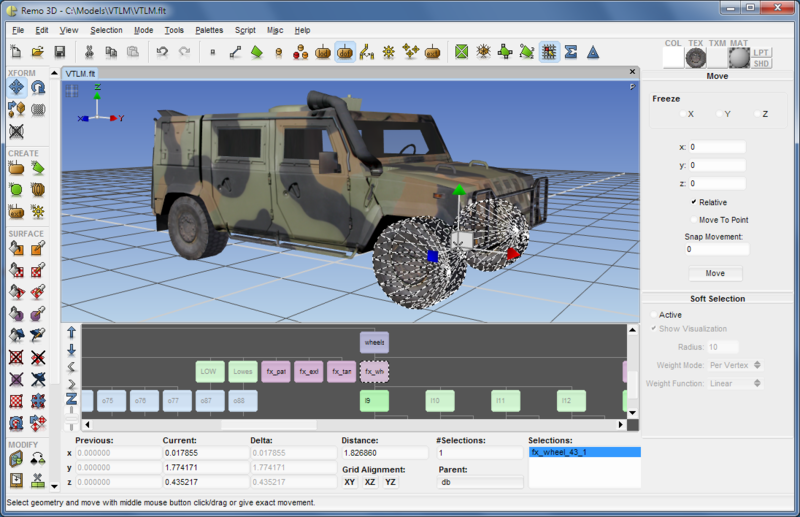 Remo 3D is developed by Swedish company Remograph and was one of the first commercial products based on OpenSceneGraph. It first reached market back in 2005 and the latest version is 2.4, released in January 2014. Find out more about Remo 3D on our website: http://www.remograph.com/.